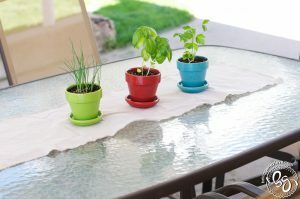 For our outdoor patio table I planted herbs into small bright colored pots to add a little amount of fun to our back patio. 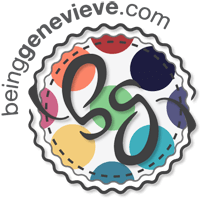 To read more view my post on, the Herb Centerpiece. 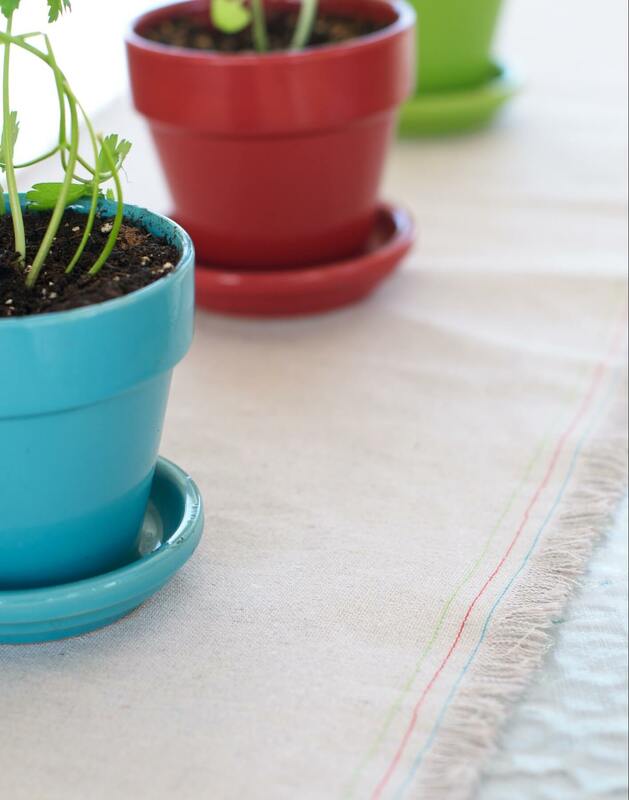 Underneath the pots, I made a quick frayed canvas table runner and top stitched thread along the edge to match the pots. It only took about 30 minutes to put it together. 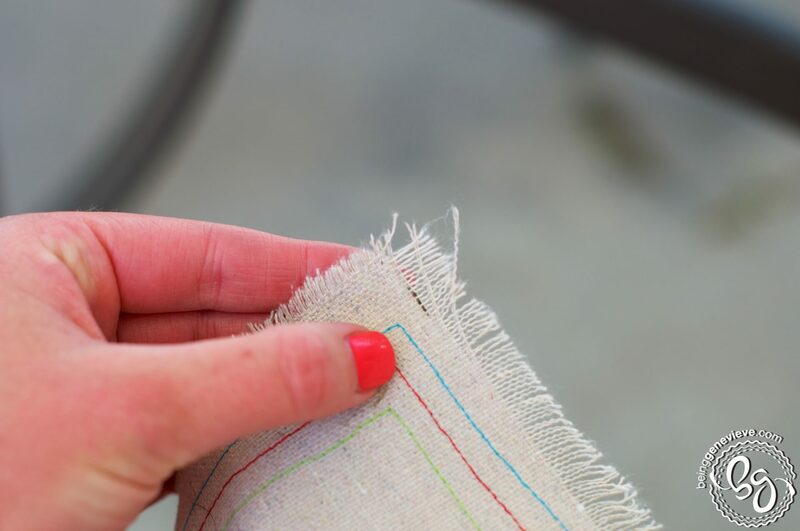 I began by finding a piece of scrap canvas fabric I had lying around the house. I laid it onto the outdoor table to see about what size I would like it to be. 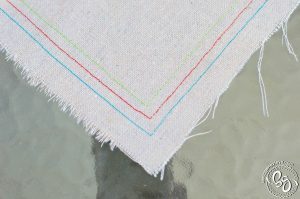 I decided to make my table runner about 42″ x 13″. Now for the top stitching that coordinates with the pots. I top stitched 5/8″ in from the edges with a blue thread. 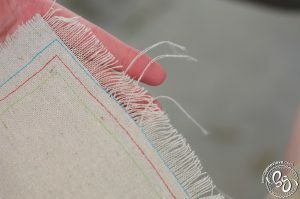 Then I sewed 1/4″ in from the blue with red, and 1/4″ from the red I stitched green. Now for the fun part: fraying the edges. Start at the corners and only pull out a couple of threads at a time. 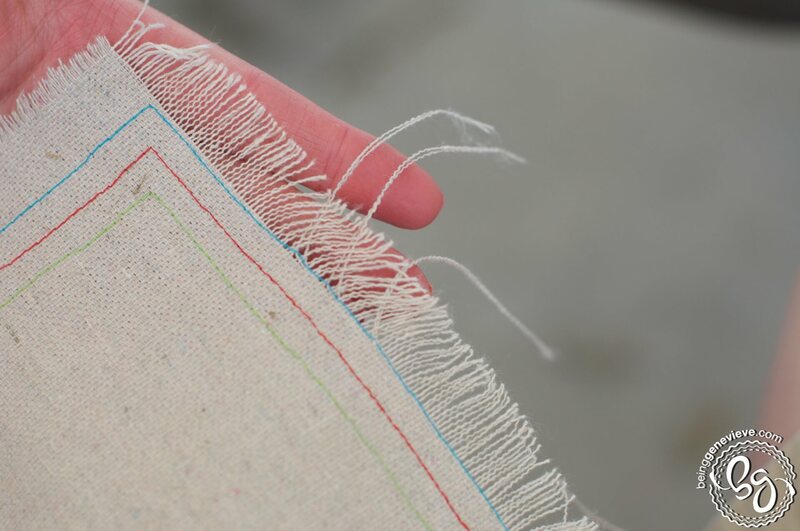 Once you come to the blue thread you may have some of the last threads attached by the blue stitching. Just trim them level with the frayed edge. Remove all the threads along all four edges of the table runner. 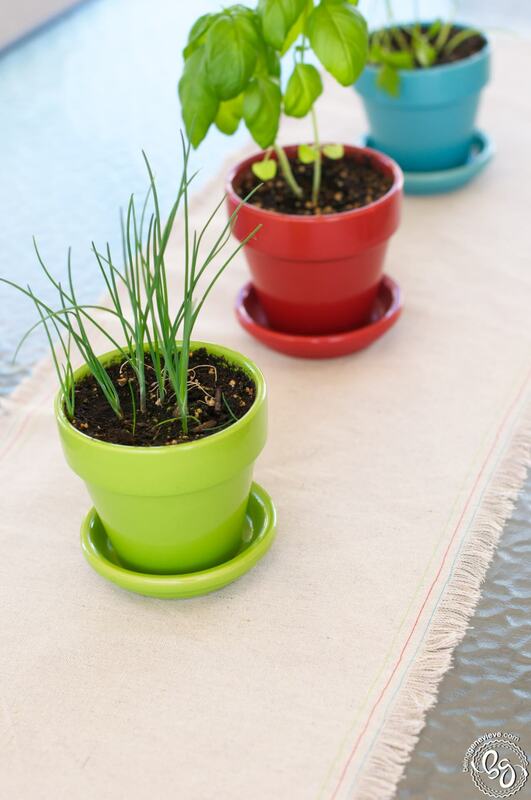 Once all the edges are frayed, you are ready to place it on the table with the bright colored pots of herbs. I just have to say that I love this centerpiece SOOO much! I walk out back to be with the kids and just seeing the bright colored pots and table runner brightens my day. No more just seeing a dusty table piled with junk.